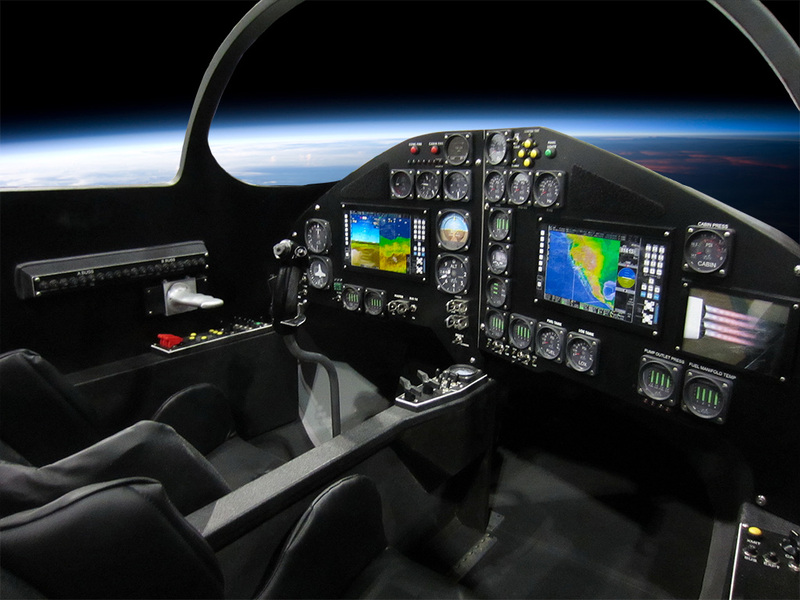 Space Expeditions Curacao (SXC), which is marketing flights in the XCOR Lynx, has produced this video of a spaceflight training flight in an Aero Vodochody L-39 Albatross. The L-39 is a primary jet trainer developed and produced in Czechoslovakia from 1971 to 1999. NASA’s Near-Earth Object Observations Program is keeping a close eye on 2011 AG5, an Earth-crossing asteroid that could hit the Earth on February 5, 2040. 2011 AG5 is 140 meters in diameter. In the unlikely event of an impact, it would strike with the force of a 100-megaton bomb. NASA is sufficiently concerned that it held a Potentially Hazardous Asteroid Workshop at NASA Goddard Space Flight Center last month. The probability of 2011 AG5 hitting Earth is currently estimated at 0.2%, but the estimate is still being refined. The probability will change when the asteroid passes through a gravitational keyhole on a pass by Earth in February 2023. If 2011 AG5 is on a course toward Earth, further data could raise our certainty to 70%. Such data could be used to plan an intercept mission, which could occur either before or after the 2023 keyhole event. Unfortunately, it’s currently impossible to observe 2011 AG5 because its relative position is too close to the Sun. It will not be possible for astronomers to observe 2011 AG5 again until fall of 2013. 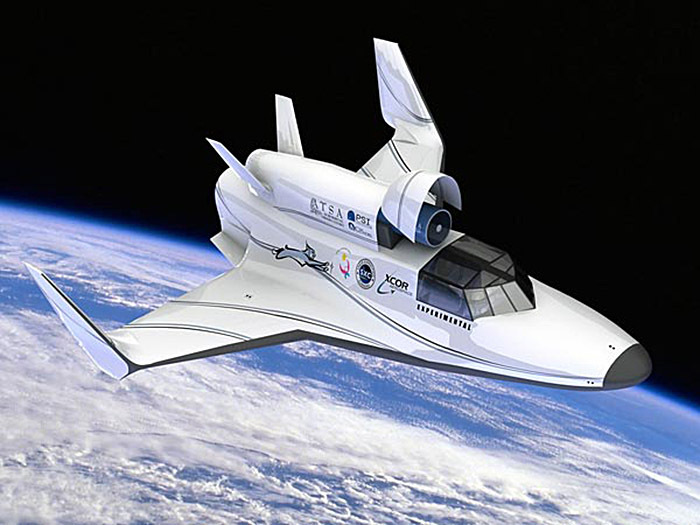 Observing objects that appear close to the Sun will be one of the key missions for suborbital telescopes, such as the Atsa Suborbital Observatory which is slated to fly on the XCOR Lynx Mark III. The Atsa Observatory won’t be flying in time to help with the 2011 AG5 problem, but it will be valuable for studying similar asteroids in the future. A robust plan for dealing with potentially hazardous asteroids will require a range of in-space capabilities, from suborbital observatories to deep-space intercept and deflection techniques. Suborbital spacecraft are being developed in the private sector and do not require government investment – but what about the intercept and deflection problem? Apollo 9 astronaut Rusty Schweickart, who created the B612 Foundation to develop asteroid-deflection techniques, does not think NASA is doing enough. Schweickart discusses 2011 AG5 and possible deflection techniques in the following video. 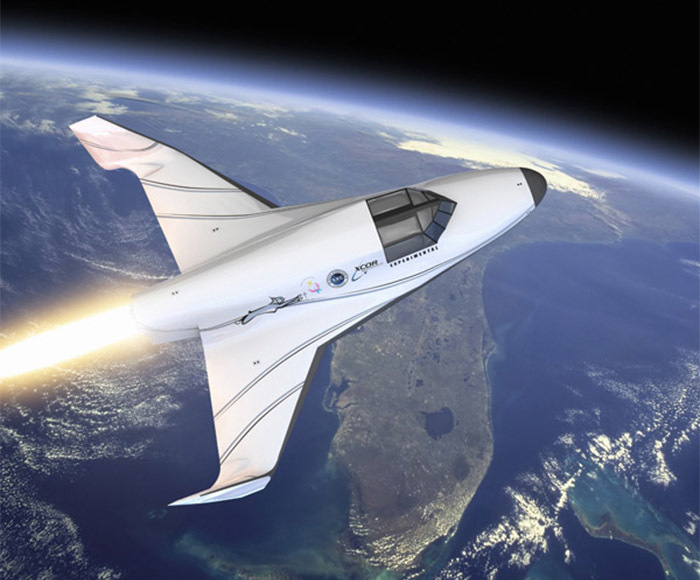 XCOR Aerospace and Space Expedition Curaçao held a press conference in New York City on June 7 to announce their new marketing arrangement for Lynx flights. 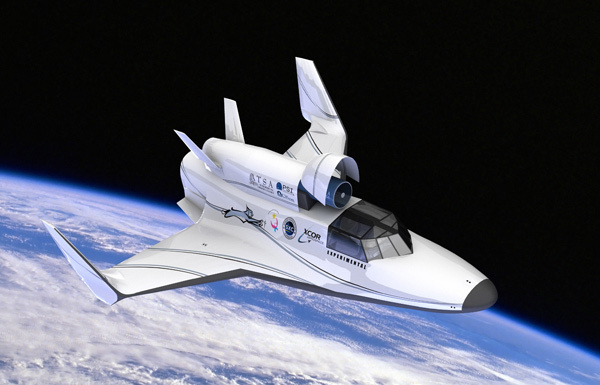 XCOR Aerospace has revealed the top-secret test vehicle they’ve been using to test the piston-pump technology that’s being used in the Lynx spaceplane. Astronomy has entered a new era of mega-telescopes, where even ground-based instruments can cost upwards of a billion dollars. The James Webb Space Telescope is expected to cost more than $8 billion. Obviously, such instruments are well out of the range of citizen scientists. The future for amateur astronomy is not dim, however. Smaller, lower-cost telescopes remain relevant and useful for astronomy. For this reason, both professional and amateur astronomers should welcome the development of reusable suborbital spacecraft which can carry small telescopes on short-duration missions. These low-cost missions will enable many astronomical experiments that benefit from access to space but do not need (and often cannot afford) a ride to orbit. 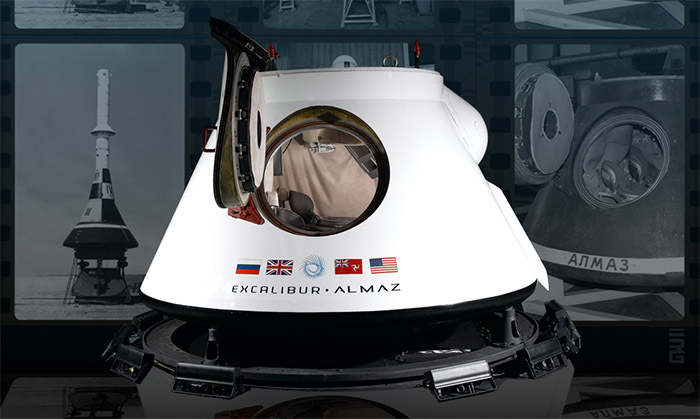 Flying telescopes on suborbital spacecraft is not a new idea. In the 1960’s, the X-15 rocketplane flew a number of telescopes for NASA. The NASA Office of Space Sciences sponsored the Ultraviolet Stellar Photography experiment, for example, which photographed Alpha Aurigue, Eta Aurigue, and Rho Aurigue from altitudes above 246,000 feet. Professional astronomers are already starting to develop astronomical instruments for the new commercial suborbital vehicles. Among the first of these instruments is the Atsa Suborbital Observatory, designed by Dr. Faith Vilas of the Planetary Science Institute and Dr. Luke Sollitt of The Citadel, the Military College of South Carolina. Dr. Vilas recently left her position as director of the MMT (Multiple Mirror Telescope) Observatory to develop Atsa. The Atsa Observatory is based on commercial off-the-shelf components. The optical component is a 14-inch Celestron Schmidt-Cassegrain telescope, with some modifications to increase its ruggedness. The main sensor will be a commercially available Silver 220 or Thermovision SC4000 infrared camera. Visiting scientists will have the option of bringing their own sensors, however. 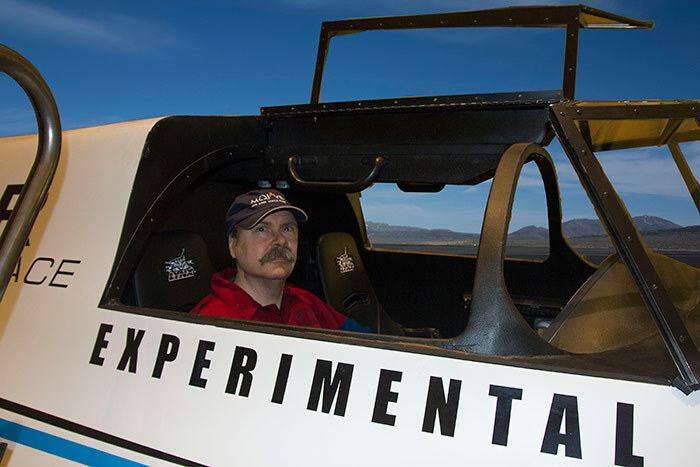 XCOR Aerospace chief operating officer Andrew Nelson spoke at the SETI Institute on February 29. For those who didn’t have a chance to attend, the SETI Institute has posted the complete talk (just over an hour) on YouTube. 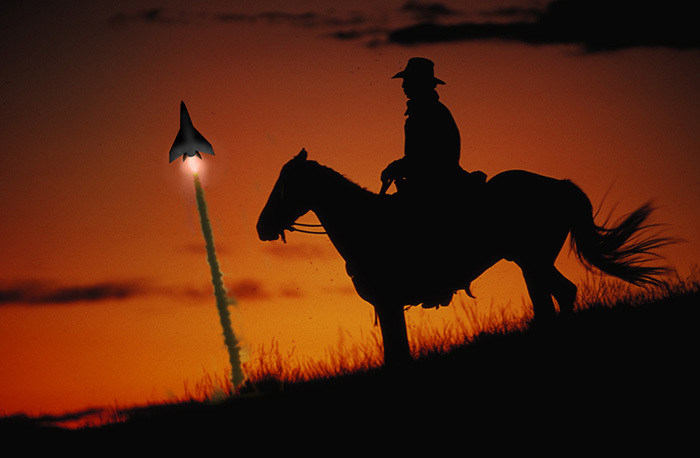 You are currently browsing the archives for the XCOR Aerospace category.